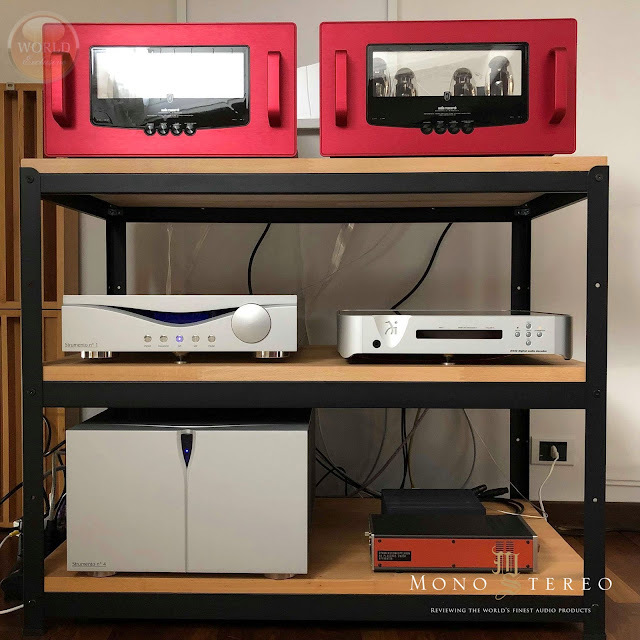 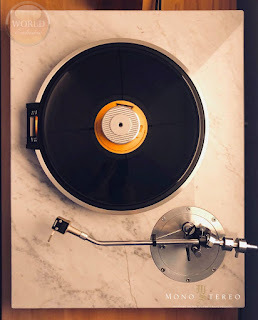 Mono and Stereo High-End Audio Magazine: The world of Livio Cucuzza! 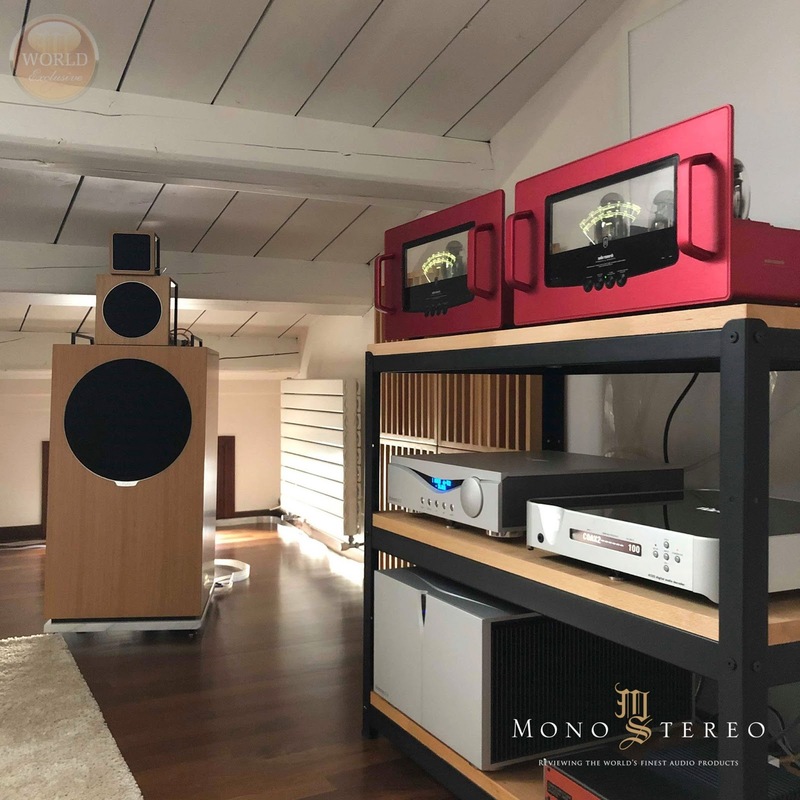 - Audio Research Ref160M monoblocks in the custom red finish (Livio id). - Nordost blue heaven first series (Livio favourites). 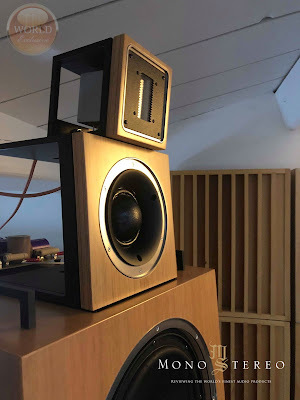 "Speakers are custom designed by me and Andrea Buracchi. 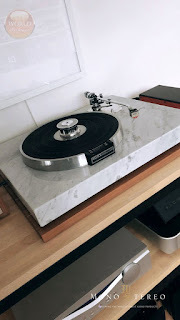 It’s a project that started almost 10 years ago with my friend Manuel, before my adventure in the high-end business. 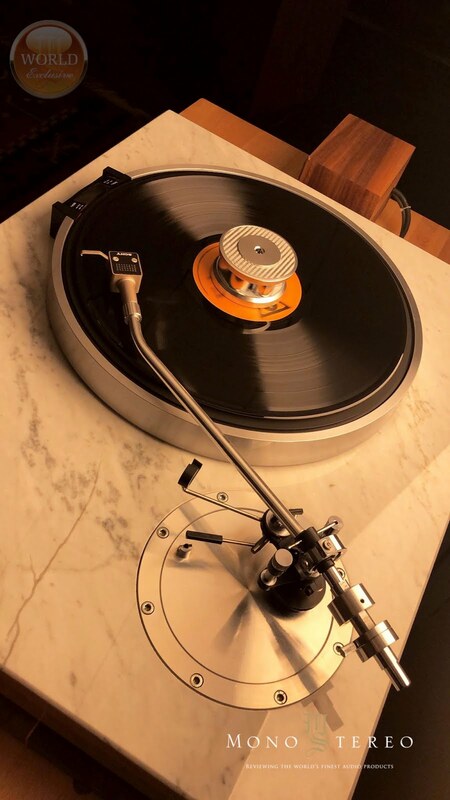 The idea was to create something special being able to play refined programs but also strong dynamics as a pro speaker can do. 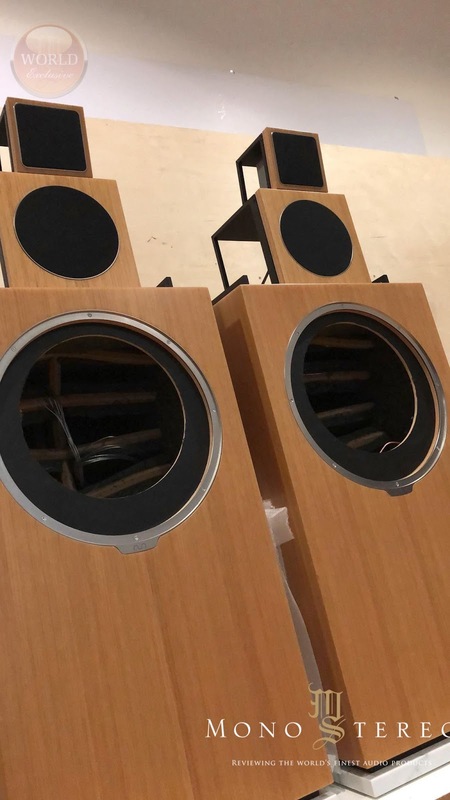 We were fascinated by the uncolored sound of dome midrange and the ability to solve the strong dynamics of the big pro woofers. 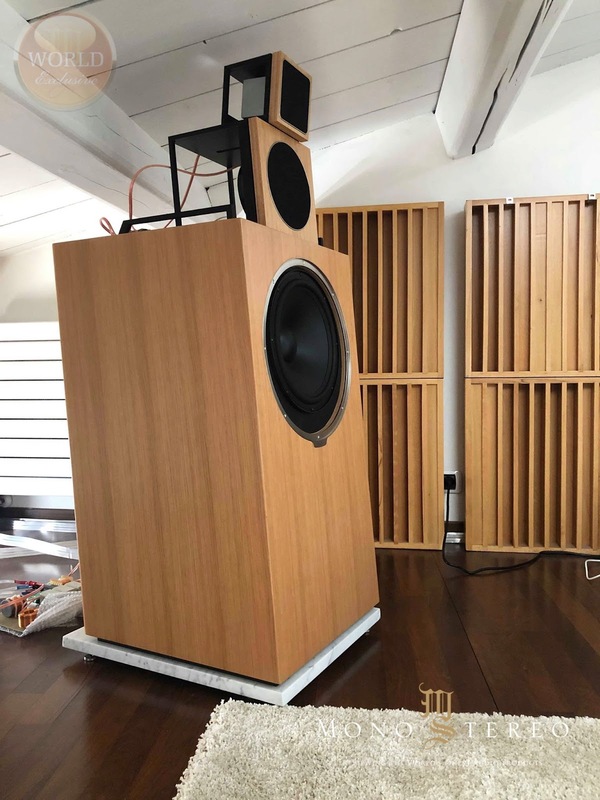 So everything started around the ATC SM75-150 dome, then we added the amazing Raal 70-20xr tweeter and at the end, the Acoustic Elegance SBP-12 woofer, loaded in a 115 liter sealed box enclosure. We called them “the Nun” because of their shape."